We’re excited to announce that pre-orders for Rift will open on Oculus.com at 8am Pacific Time on January 6! Oculus rift you say? Never heard of it? I'm sure you've heard of Virtual Reality before right? Facebook owned Oculus Rift is the "in-your-livingroom" technology that has been gawked over for the past two years by all tech enthusiasts and gamers alike. 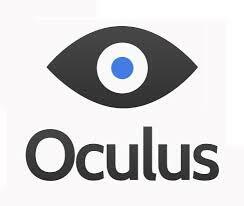 Oculus Rift is a virtual reality, head-mounted display developed by Oculus VR. 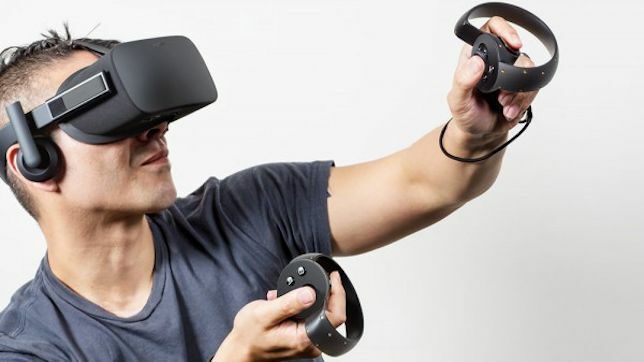 Oculus VR founder Palmer Luckey developed an idea for the new head-mounted display that would be more effective and inexpensive for gamers than ones on the market. 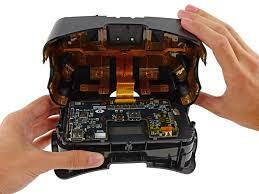 In 2012, the “developer kit” version of the Rift was released and in 2014, Oculus announced the Developer kit 2 (DK2). Since both of these devices were still in beta, most consumers were either not aware of it or were afraid to outlay the thousands needed to purchase one without the assurance of quality. But the wait is now over with the Consumer Edition set to be release for pre-order on the 6th of January 2016. Compatible with Pc but future support on xbox is in motion if I'm not mistaken. But what is Virtual Reality? Virtual reality was coined several decades ago, but only recently has it caught the attention of the world. 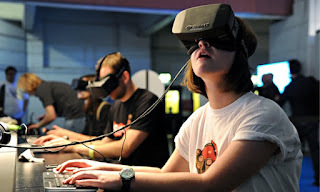 Virtual reality is the computer-generated simulation of a three dimensional image or environment that can be interacted with in a seemingly real or physical way by a person using special electronic equipment, such as a helmet with a screen inside or gloves fitted with sensors. In Lehman’s terms? You become part of your media. 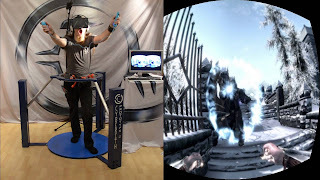 An immersion into your favourite video game or movie, with less need of a controller or keyboard in hand as an interface. The possibilities of its applications are almost endless ranging from usage in the medical field to online gaming. “So how does this work?” you may ask. Essentially, in visual VR, in its current stage, a device is equipped with a pair of lenses set at a distance from a screen, all mounted in an enclosure and strapped to one’s head. A split-screen video is displayed on the screen where each side is specially recorded in order to provide the impression of depth when viewed simultaneously with both eyes through the lenses. This method has also been used in ordinary three-dimensional movies. Different devices provide different FOV’s (field of vision – basically the range a person can see when facing a particular direction), and offer a 360 degree experience via head movement/tracking. So while watching your movie or playing your game, you can literally rotate your head and enjoy another view of the play-through as if you were in the middle of it. The way people play games and watch videos had now been revolutionized by this development. Imagine instead of looking at your TV, you’re now put in the middle of your favourite war game, experiencing everything from a proper, first-person perspective, or running alongside your favourite soccer player in your dream team. Dozens of YouTubers, like “Markiplier” and “JackScepticEye” to name a couple, have recorded themselves playing such immersive VR games to show the world what they could be experiencing in the comfort of their own homes. A game, “Outlast”, which falls under the horror genre, is one which both of these internet stars as demonstrated to us. We see their angst, their anxiety, and their fear as they play their game, being chased by horrific monsters in a situation where you can’t just close your eyes like in a movie. A situation where in the game you would see your character feeling groggy, the sensation is passed onto you because you no longer see things from a TV screen but as if they were your own eyes. A human’s sense of balance is heavily reliant on their ears. When attached to a virtual reality system, along with a pair of headphones, a person can quickly lose themselves in the seemingly real environment where your sense of balance, depth-perception and even general motor skills are testing and influenced. VR isn’t restricted to gaming or video. An initiative that really caught my eye personally was started by medical practitioners in Europe. The surgeons used an array of cameras to record their own 360 degree video of exactly how they performed an operation. Students could now put on a VR headset and watch exactly where to cut and stitch, and what goes where in the human body with their own eyes instead of just the theory they would’ve read in a book. Experiencing the stress and conditions almost first hand. The viewer could turn and look at the tools the surgeon had set out on the table behind him, or even turn to see what additional work was being done by assistant surgeons or even the nurses on duty. This importance of this learning experience is huge because prior to this, a surgeon could go into theatre almost blind, knowing only what he had read in a book, ages ago. From gaming, to medical application, to simply recording memories, VR is definitely a revolutionary concept that will pave the way to a better and more constructive future and I can’t wait to get my hands on the finished products.